Recap of My Vanity Fair Awards Weekend, Plus All the 2015 Emmy Award Winners! For the first time, Vanity Fair hosted the V.F. Social Club to celebrate the Emmy Awards for select social and entertainment influencers. Guess who was part of the excitement? Yep, Tinseltown Mom. 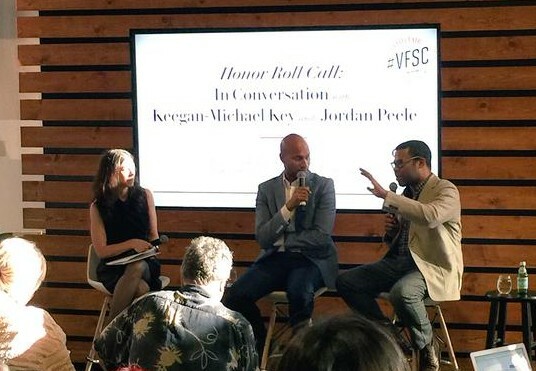 The event was held at the creative co-working space, WeWork Hollywood, #VFSC the hot spot where invited guests experienced the world of Vanity Fair throughout Emmy weekend. 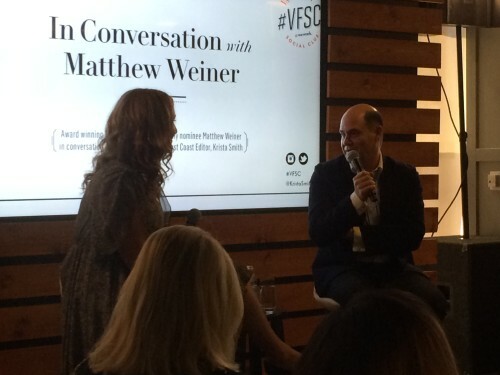 In Conversation with Matthew Weiner: Award-winning creator and Emmy nominee Matthew Weiner spoke with Vanity Fair’s West Coast Editor, Krista Smith about his groundbreaking show Mad Men, and how the industry was reluctant to take a chance on this American period drama, early on. After seven seasons and 92 episodes, Mad Men’s final episode aired on May 17, 2015. 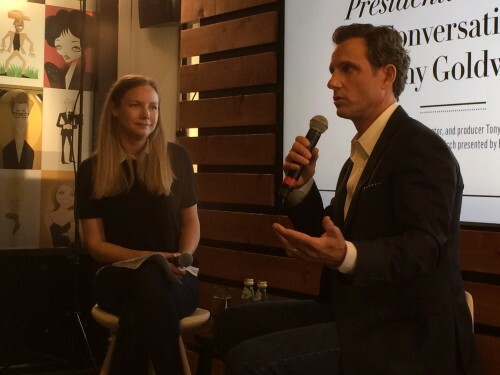 Presidential Debate: Actor, director, and producer Tony Goldwyn sat down with Vanity Fair’s Emily Poenisch to talk about Season 5 of the hit show Scandal; working with the show’s creator, Shonda Rhimes; his memory of Patrick Swayze, plus the power social media played in boosting ratings for the ABC series. 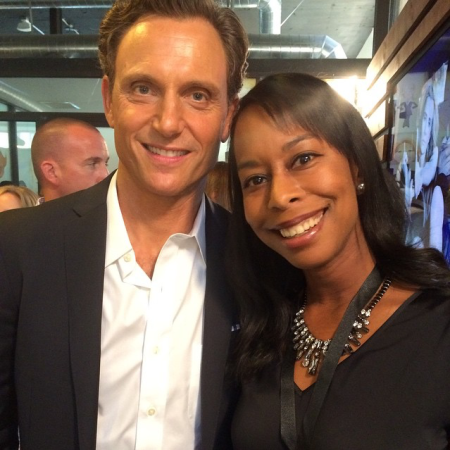 Photo Op Moment: Of course, a Tony Goldwyn attended event wouldn’t be complete without a snap of President “Fitz” along with yours truly. And for those wondering, the Scandal hunk was as gracious as he appears in the media. Sounds like an awesome event to attend. Glad you had fun. What a great job you have, you lucky thing! It’s on my TiVo!! I gotta watch it!! I am clearly woefully out of touch with modern television. I haven’t heard of most of these shows and I’m hopeless with actor’s names. It looks like you had a phenomenal time though! Ah! What an amazing event. I love any and all awards shows, so I am super jealous. I’m also jealous that you got a picture with Fitz!!!! I JUST started watching Scandal on Netflix and I’m totally hooked.